It was a summer night, the Distilled NYC crew had just finished up a round of ping-pong and we were sitting down to dinner at a local Thai restaurant when John exclaimed , “Guys, I just got a Google+ invite! “ Mayhem ensued and dinner was lost. That my friends, is how Google+ was born...or, something like that. 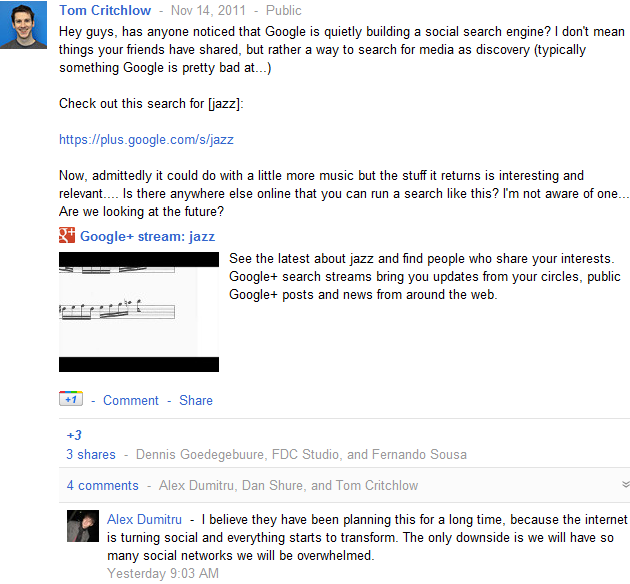 Since Google+ was released there have been countless articles about whether Google created the next social network . Although the jury is still out (I'm not completely sold, but that could be because I'm stubborn), from a business perspective, Google+ Pages offers another way to reach your audience as well as get your brand recognized. But we all know this. It would be silly not to try all means possible to connect with people and possibly help your brand in the SERPs. All you have to do is create a page, post something on your profile, and put people in circles, right? WRONG. Like other forms of social media, there are good ways to create a Google+ Page, and of course there are those all too easy, bad ways to create one. Alas, I'm here to hopefully spark some creative ideas within you on how you can creatively engage and get your Page noticed. Like Twitter and Facebook, you don't want to create a page and then leave it to its own devices. It takes time and effort my friends. If you're creating great content for your site through blog posts etc. share it on your Page!! You do not want to create a page and then fall into a black hole. Encourage people to comment and share the post within their own circles, which will broaden your reach. 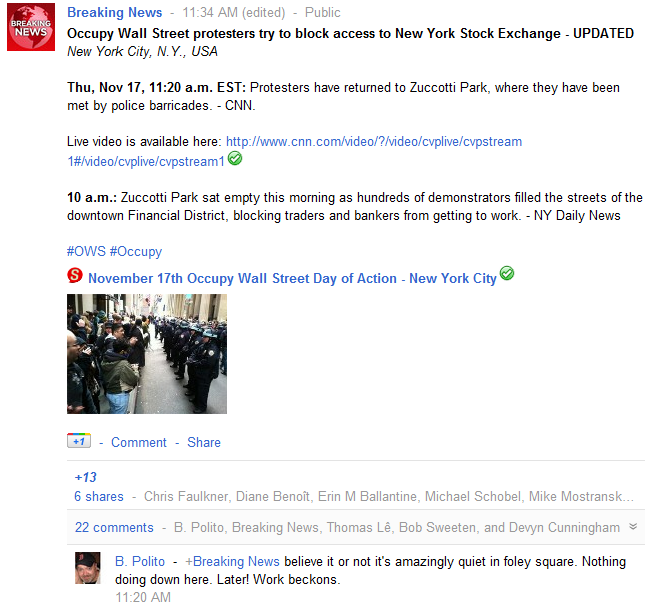 Our friends over at SEOmoz are always doing a great job with engaging in the community and finding new ways to do so. Their Google+ Page is no different! If you're an avid SEOmoz follower you know they create videos every Friday, known as "Whiteboard Fridays". They have taken this concept and created "Whiteboard+". GENIUS! Not only are they creating content, but they are creating content exclusively for Google+. This encourages people to come back to their page. Add photos! Simple as that. Adding photos can put a face to a brand or can seamlessly integrate existing campaigns. Consumer brands tend to have ever evolving ad campaigns so you can archive photos through albums. Also, encouraging people to upload and tag their own photos through contests will spark user engagement and create a killer photo library! Whether it's to do a Q&A with someone in the industry or bringing your celeb sponsor to chat with fans, you can start hangouts to engage people in your circles. This feature can not only build you customer base, but can also be used to gain feedback. Free and unbiased opinions that can help your business - DO IT! Having an "about" page with contact information is good form. 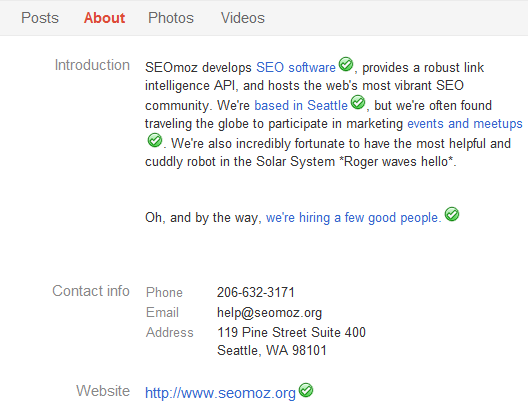 If people want to contact you, don't make them scour your page, or *gasp* search online. Be upfront and make sure that your contact details are correct. It sounds simple and it is. Start a conversation. Write a brief post about some recent news within your industry and get a conversation going. With a little amount of effort and time, you'll have people commenting and again, have another way to engage your community. So, get out there! Be creative and don't be afraid to engage with your community. Oh and don't forget to add Distilled to your circle!